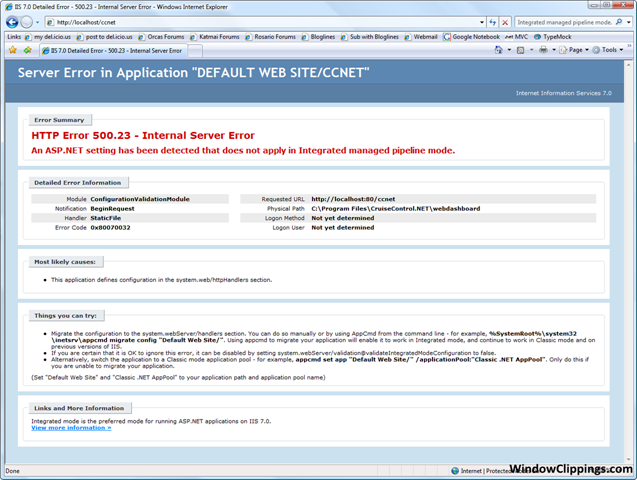 After installing CruiseControl.Net, CCNet, I attempted to load the web dashboard and got the following error display. How confusing!! A quick look on the IIS7 documentation, blogs, forums etc I ran the following command. %SystemRoot%system32inetsrvappcmd migrate config “Default Web Site/”. I then refreshed the webpage and everything worked perfectly! I was lost and your post made my day. 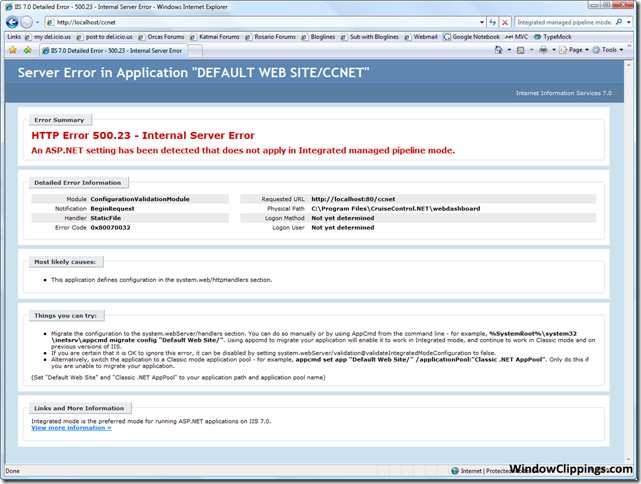 Great stuff – I just ran into the same issue on Windows Server 2008 and this fixed the issue on that platform too. Also I was very impressed with your presentation at DDD7 on Saturday! Thanks! Just what I needed to get everything running smoothly.